It seems that the Telephone Preference Service, Ofcom, Action Fraud and the Information Commissioner are completely powerless, or unwilling, to act against a UK registered UK based company who are aiding and abetting fraudsters based outside the UK. They all say that this use of UK telephone numbers cannot be stopped "unless there is a considerable number of complaints". It has been pointed out that many web sites have hundreds, if not thousands, of complaints going back up to 4 years about the fraudulent organisation using these telephone lines who obtain payment from gullible members of the public for non-existent services, but apparently that isn't enough. In the worst cases they are basing their request for money on complete untruths. The most common one I have received is a call saying that my computer has been sending them messages saying that the "security licence has expired" and that therefore when I log on the machine is receiving viruses. I am asked to pay, by credit card only, to renew the licence. I am directed to view the warning and error messages that are stored by Windows and their meaning is misinterpreted by the fraudsters. I find it difficult to believe that there is a shred of truth in their messages as they do not understand computer technical terms, and there is no such thing as a "security licence" sold with Windows. The lesser attempts to get money are by offering to reorganise my pension, or claim PPI fraud on my behalf, or to claim compensation for an accident. In all of these cases they told me that their records indicated that I had a chance of getting a lot of money, though I have had no accident, and no PPI, and my pension is already being paid to me. There are telephone numbers, apparently in the UK but actually connecting you to various places round the world. 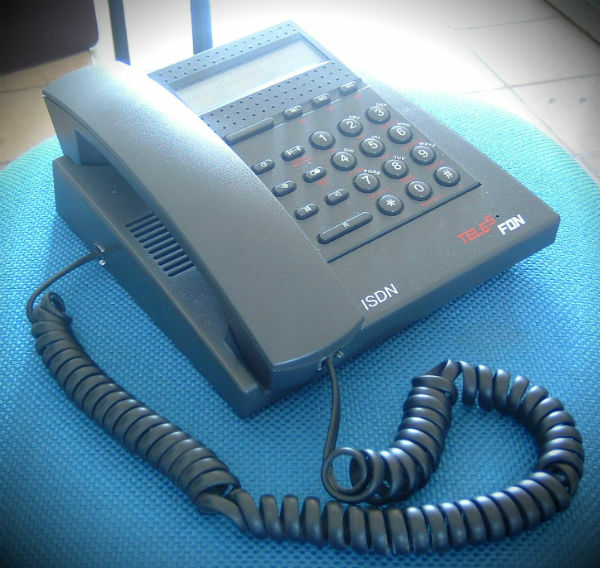 Many of those are provided by a company called Telephony Services Limited, a subsidiary of MG Global Solutions Limited whose registered office is Suite 2 KD Tower, The Cotterells, Hemel Hempstead, Hertfordshire, HP1 1FW. Among them are 020 3137 5041, 020 7060 9336 and 020 7060 3772 which Telephony Services Limited provide to a company in South Africa called, variously, First Call Group / 1st Call Group / First Call Centre Solutions whose address is 220 Flanders Drive, 4300 Mt Edgecombe, Durban, South Africa Telephone: + 27 (0)31 000 0005 and who have the website www.1stcallgroup.com. It is from these numbers that I have received many calls. The latest call was from the same number but calling themselves Lifestyle and wanting to do a survey. In my cynicism about this organisation I am convinced that the survey would have asked for a lot of information to allow them to steal my identity. Have you noticed that these days they like to begin with, "Our records show that you have...?" When this first happened, my first reaction was to ask what their records showed. I genuinely thought I was going to be given the details. Now I always do this. Their usual reaction is that they cannot tell me for security reasons. I point out that for security reasons I need to verify it myself. Then I ask where they got the information and they can't tell me because they don't have any information anyway. I say I think there may have been a breach of the Data Protection Act and ask to be put through to the manager. I usually get put through, too. Never give them any info. You can waste the scammers time quite a lot this way. The one to really watch out for, however, are the robo-calls. Never press a button to unsubscribe. That connects you to a premium rate phone call. Offcom could require telecoms to block tranfer to premium numbers but they haven't. Put the phone down instead. If you are contacted via telephone and someone is offering a service or goods that seems too good to be true, handle with caution - it may be wise to only pay half up-front of what they are asking, until you know them well enough to trust. All Telephone Networks operators in the UK should have a free service to allow customers [at their discretion and whenever they want] simply to switch calls from unwanted sources selectively off altogether. This should cost absolutely nothing, and be a fundamental part of the service which they provide, the cost of which should be covered by the line rental [the prices charged for which are largely a scam]. If the calls originate from overseas [ say India], the UK government should be making representations to the Indian government to act, invoking misuse of whatever telecommunications treaty that exists between us and them. If India does not pull its socks up, let's say that this country should pull the plug on them. That would lose India a huge amount of revenue from running remote call centres. So if the likes of India want to trade with Britain let them do it responsibly or not at all. There are various call screening devices available which allow you to block out some of these calls. If you have an elderly relative who needs protecting, or are just pig sick of cold callers yourself, I would recommend "Truecall"
It's not the cheapest, but in 10 months I've been using it, I've only had two cold calls get through (and they were both from a local free newspaper researcher asking if I had received my copy in that particular week!). I can examine the call log from my device on the internet and see every day that people and companies trying to call me on withheld, unavailable, national, and international numbers..... sometimes up to 4 and 5 calls per day! My original outlay has been worth every penny for the peace of mind I have when the phone does ring. P.S. I have no link whatsoever with the company who markets this device. We've had calls from Lifestyle; along with National Moneysavers, the service department of "Microsoft" (yeah, right), all the usual home improvement companies, important messages about our PPI, and so on. My Mum had a call from "Microsoft" about a fault with her non-existent computer. When she said she didn't have one the idiot on the other end said "are you sure?"! Well, it's the sort of thing you might forget you have I suppose. I reported National Moneysavers to the TPS who passed the complaint on to the Information Commissioner's Office as they were calling me repeatedly. Once I had been rude to the person on the other end and so they called me 6 times later the same day. After reporting them they went quiet for a few months, but then called me again a couple of times recently. I threatened to report them to the police and haven't heard from them since. It's got to the point where if I hear an Indian accent I just put the phone down; but have to be careful if I've ordered a curry to be delivered! Elderly people are the most vulnerable as they read and respond to pretty much every letter they receive. A number of years ago I worked for a UK based call centre as a software developer. What I discovered was quite shocking but perfectly legal. It's not just the fact that we load 11 digit numbers into predictive diallers and call people randomly all day and every day, it's also where we got numbers from. For example the Government makes it a criminal offence not to record census information and therefore most Government departments have access to your information. However this information is also sold on (whether you like it or not) to selected third parties, who in turn sell it on to more third parties. My company (for Â£1000 at the time) could buy the full UK database (as long as we promised not to misuse the data â€“ whatever that means) and this data told us very key information about you. Not just who you were and you're personal details, but also how affluent you were, your salary level, the likelihood that you would buy certain products and so on. Therefore my company could do targeted campaigns against you and people like you in your area. This information is now widely available globally which means companies in Africa have all they need to target you and in the case of Nigeria can steal from you. The sad thing is you can never have your data deleted or removed from databases. Therefore my advise to anyone reading this is always put false names to addresses and never give your date of birth unless it's an official request for say a mortgage or bank account. Key them guessing as to who lives in your house. As for email addresses, these are sold on to spammers so set up a free address with limited info such as Gmail and use this unless you want to give your real email address. Not getting broadband speed that BT promised?